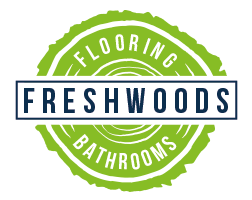 At Freshwoods we specialise in fitting and restoring quality timber flooring. Whether you are looking to transform your living space with a new wooden floor or if your existing wooden floors have seen better days, we can help. With friendly and professional advice on what service would be most suitable and cost effective for you. Our suppliers offer a wide selection of wooden floors which are manufactured to the highest standard. The type of installation method we use depends on your choice of floor as well as the materials of the subfloor. Flooring is either fitted by either Cleating “secret nailing’ or stuck down using a flexible adhesive. Engineered wood flooring is made up of multiple layers of woods whereas solid wood flooring is solid piece of wood cut from single pieces of timber. Both of these types of wood can come either unfinished or prefinished, so they can be stained to the customers colour preference. The wood we supply comes either unfinished or prefinished. An unfinished floor will need to be sanded after laying and then stained with a lacquer or hard wax oil. Which allows the customer to choose their own colour preference. Whereas prefinished floor is already stained and is available in a wide range of different colours and finishes. We have extensive knowledge and experience in restoring timber floors. As well as sanding unfinished floors before applying the stain, floor sanding is also part of our restoration process. Most solid and engineered floors can be sanded and re-stained which can help remove any signs of wear and tear and restore them to their original condition. People can often be put off by sanding due to the amount of dust it produces. Yet our floor sanding machines reduce the amount of dust released into the air to a minimum, meaning we can meet our high standards of almost complete lack of dust during and after sanding. We are experts in wood floor repairs whether that be staining, gap filling or sealing with varnish. When it comes to the floor finish there are a range of stain shades and colours available to meet your request that can be applied to unfinished floor once it is laid or a colour can be chosen for a prefinished floor. Our most popular method of floor finish is Hard Wax Oil, which provides a natural look and feel of the wood itself. The appearance of the finished wooden floor can be either Satin or Matt. Any damage can be easily repaired without the need to sand the whole floor. We provide advice on what maintenance/cleaning products should be used to keep the floor in its best condition. Floors treated with a quality lacquer are harder wearing and easier to maintain, with a choice of either gloss or matt. The disadvantage with lacquer is it only covers the surface of the wood, so any damage to the lacquer can break the protection allowing moisture into the wood and discolouring can occur regardless of maintenance. A subfloor is what is underneath your present floor covering. We ensure that a suitable subflooring is carefully and correctly prepared before laying the finished flooring. As having the right subfloor can extend the life of your floor.